With its unique heart shaped, pale face, the Barn Owl is easily recognizable. Measuring between 13 to 20 inches in length the Barn Owl is considered to be of medium size and certainly smaller than the Great Horned Owl. They have a long wingspan of up to 48 inches and can weigh anywhere from one to two pounds full grown. Their wings are somewhat rounded and they have a noticeably short square tail. Their body and legs are long and the face rounded to an almost heart shape. The coloring of the Barn Owl is very pale overall with very dark eyes. They have a mix of light brown and grey feathers on their head, back, and upper wing areas and are generally white to off white under the wings and on their face. 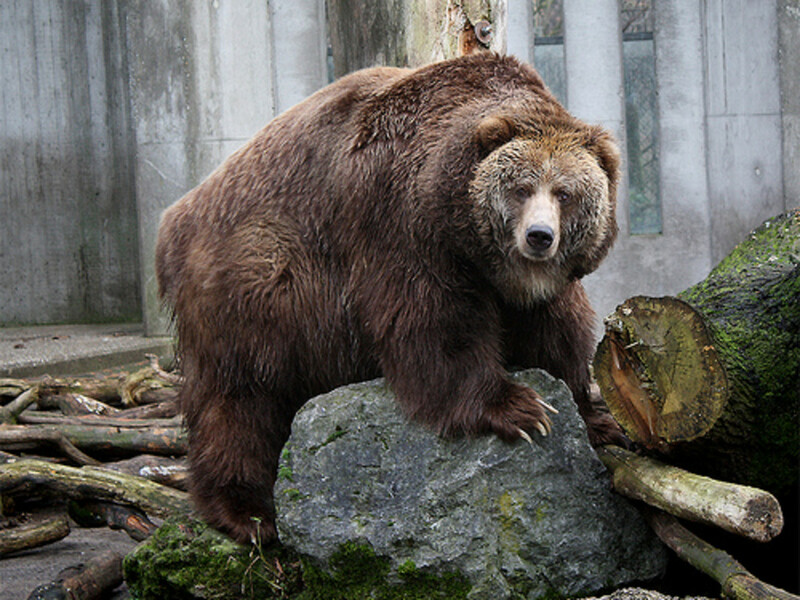 Some subspecies will have varying amounts of brown speckles on their chest and under-parts with males tending to be less spotted than females. 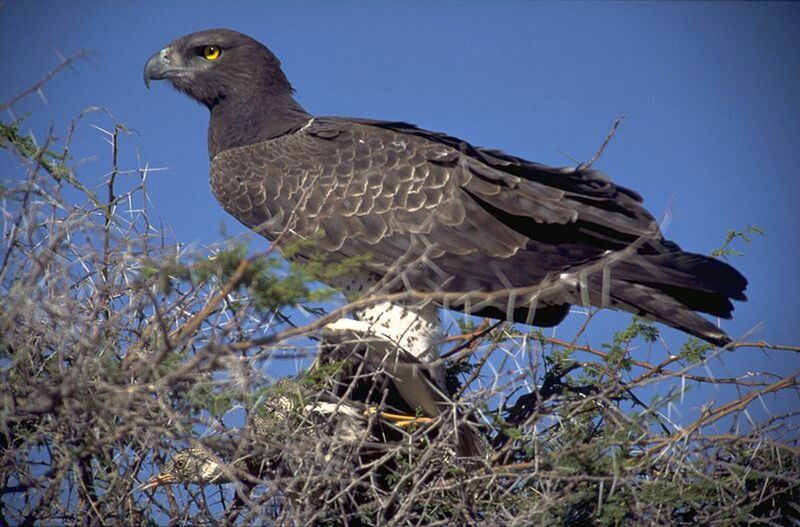 As is common with other birds of prey the female is generally larger than the male by about 10%. The Barn Owl is found throughout North and South America, across Europe, sub-Saharan Africa, parts of Asia and Australia. They are also found on large islands including Tasmania, Madagascar, the Galapagos, and the Hawaiian Islands. In the case of Hawaii, the Barn Owl was introduced there as a means of controlling rodents and this has proven to be very successful. The Barn Owl can be found in most habitats including woodlands, farmland, grasslands, and open country areas. 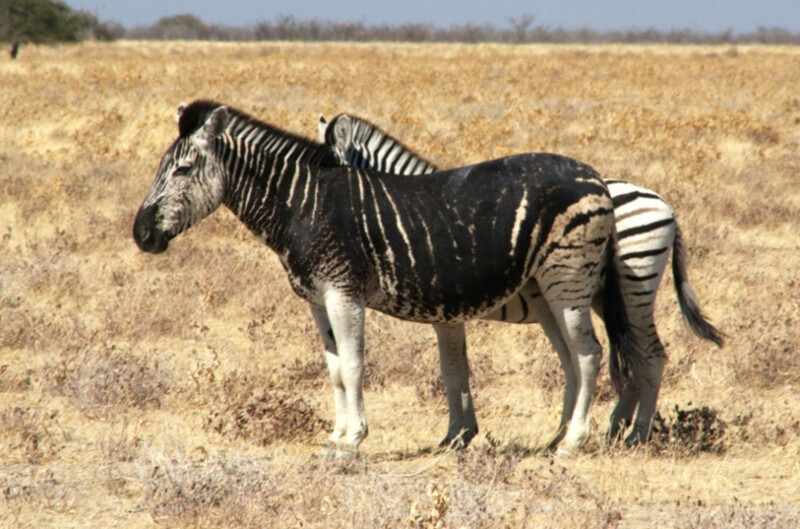 They are usually found below 2,000 meters in elevation and require a rather large area of open land for hunting. For roosting and nesting the Barn Owl will prefer quiet areas such as tree hollows or man-made structures like silos or a barn, hence the name Barn Owl. Unlike many other owl species the Barn Owl does not hoot. Instead they produce more of a scream or shrill, which can be fairly ear shattering if you happen to be close by. When threatened they will also hiss, much like a snake. Like other owl species, the Barn Owl is nocturnal preferring to hunt at night although they can occasionally be seen around dusk and also just before sunrise. They are very quiet when in flight and as one might expect they have excellent eyesight and hearing. When hunting they can detect the location and distance of a potential prey with just their hearing. The Barn Owl feeds on a variety of small rodents and will normally consume one to two rodents per night. Their typical diet includes an array of mice, rats, lemming, voles and small rabbits. As they do most of their hunting at night chipmunks and squirrels are generally safe from this keen hunter. The Barn Owl will also on occasion eat other birds including larks, blackbirds, starling’s and also bats. Because the Barn Owl has such a high metabolic rate they require much more food than other owls of the same size. On a pound for pound basis, the Barn Owl consumes more rodents than most other creatures which makes them a valuable resource to farmers looking to control rodent populations. When hunting, the Barn Owl can either hunt from the air or while perched in a tree or on a fence post scanning for prey. When in the air hunting they will fly slowly and can hover in place to stealthy ambush any potential prey. 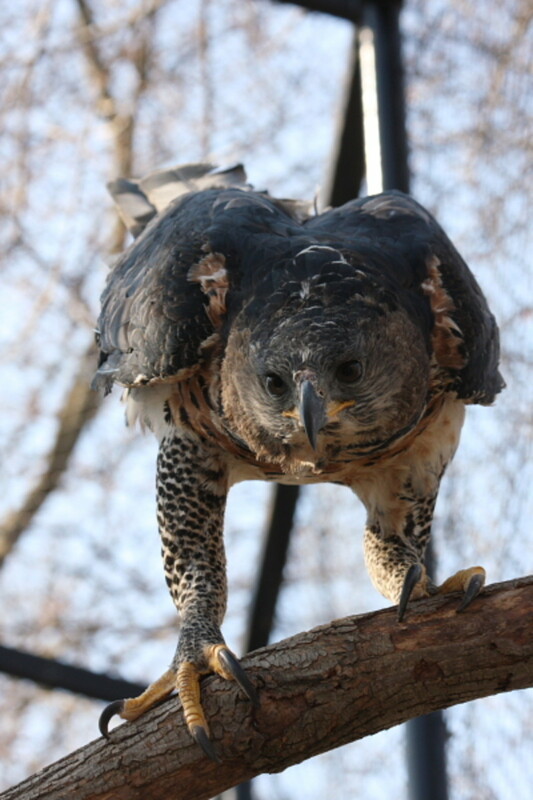 Their sharp talons and powerful beak make for the perfect hunting tools and they are very efficient hunters. The Barn Owl can breed at any time during the year especially if food is abundant, but the breeding season generally begins in March to April. The female will normally lay between four to seven eggs and she will do all of the incubating while the male brings food to the nest. In a particularly good year when food is plentiful they may even breed twice. Barn Owls will usually reuse their nest from year to year and often use tree hollows, ledges, barn lofts, steeples or even caves as a nesting site. The eggs will incubate for 30 to 35 days and the new born owlets will be covered in a white down for the next two weeks. Fledging will normally take about 50 days or so and once they learn to fly they will stay in the general vicinity for a few weeks while learning to hunt. Once able to hunt on their own they will quickly leave the nesting area to fend for themselves and young Barn Owls are capable of breeding after just ten months. The life span of the Barn Owl in the wild is only about four years and most individual’s mange to breed only once or twice in their lifetimes. 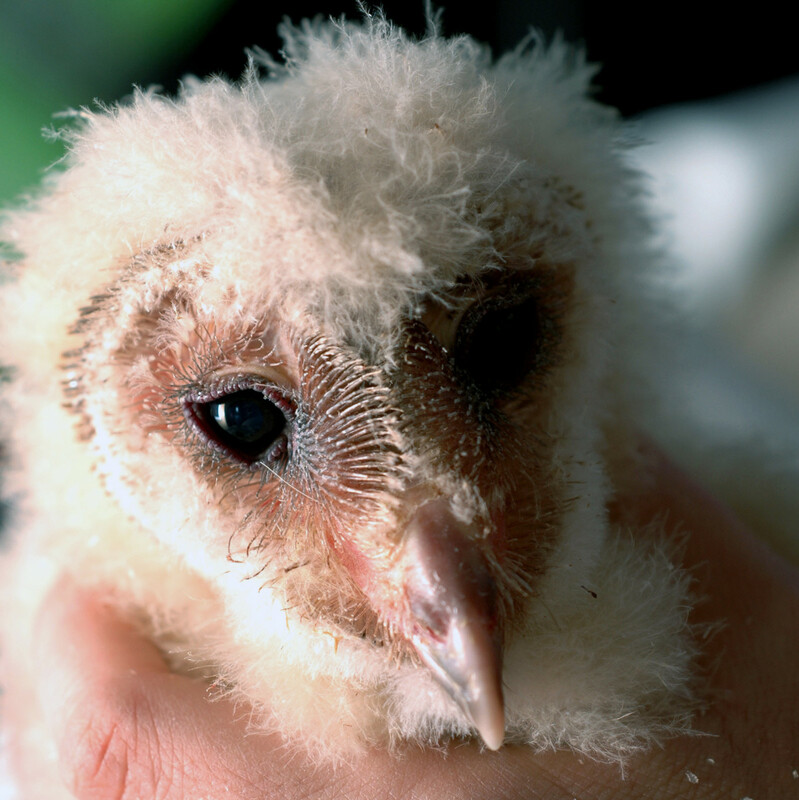 While captive Barn Owls can live up to twenty years it is a much different story in the wild. The record for a wild Barn Owl here in America is just eleven and a half years while in captivity the record is just over 25 years. Because the Barn Owl is so common over most of their range they are not considered threatened on a global basis. However, there are some local areas that have seen fairly dramatic declines in their numbers and this has been a result of the use of DDT and rodent pesticides along with the ever present urban sprawl, which decreases suitable nesting locations and the supply of food. 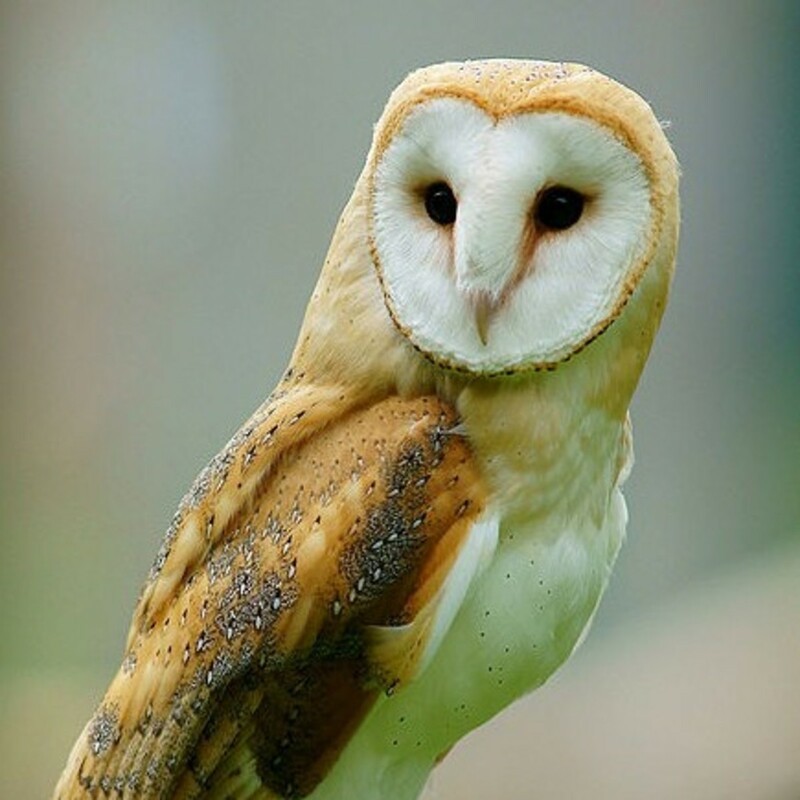 In the United States there are nine states that have the Barn Owl currently listed as threatened. What farmers in some parts of the world do not realize is that the best method of eliminating rodents is not through the use of chemicals but by allowing the Barn Owl to flourish in the area. I hope you enjoyed this look at another one of our beautiful feathered friends. Keep reading below for some interesting facts on the Barn Owl and for articles on other Birds of Prey. The Barn Owl will usually swallow their prey whole including bones. Later they will expel pellets instead of passing the indigestible parts. There are over 40 different subspecies of the Barn Owl with the North American version being the largest of the bunch. The smallest subspecies resides in the Galapagos Islands. The Barn Owls ability to find prey by just sound is the best of any animal ever tested. In lab tests they have been able to catch a mouse in complete darkness. Barn Owls are one of the most recognizable of all owls due to their unique heart shaped face. Most other owl species have round faces, which makes them difficult to differentiate from each another. 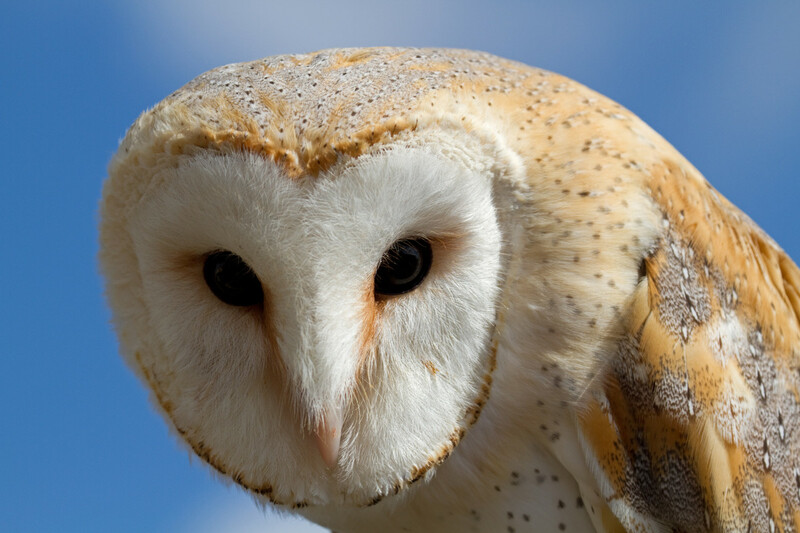 The Barn Owl has numerous other names including; church owl, golden owl, hissing owl, white owl and demon owl. Unlike many other species of owl and birds, the female is more colorful than the male. Those large black eyes of the Barn Owl, while offering excellent vision, cannot move from side to side. In order to see peripherally they must turn their head from side to side to see to the left or right. Everything you need to know about the beautiful Snowy Owl. This amazing Bird of Prey is one of the largest owls in the world and certainly one of the most striking with its snowy white plumage. Hi Dr Bill. Same here. I grew up within a stone's throw of a barn and never saw one in the wild. Stealthy guys I suppose. Thanks for stopping by, have a great week. Hi Amanda. Thank you. I just love these amazing birds also. So glad you enjoyed the hub. Have a great day. Fantastic! What beautiful creatures. I love everything about this hub. It's packed with detail, accurate information and there are gorgeous photographs. And - it's about one of my favorite birds ever! Hi Lisa, Thank you, I appreciate the kind comments. I have always been fascinated with owls also, they are amazing creatures. Thank you for the vote and share, have a wonderful weekend. Hi Bill, I really enjoyed this hub. I have a special place in my heart for owls and their strength. 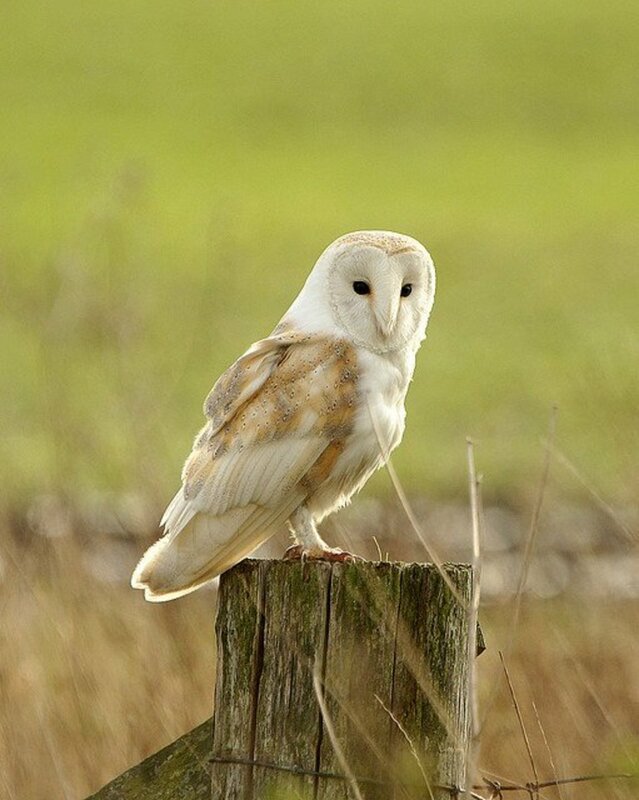 You have done a wonderful and informative hub on the barn owl. Thank you for sharing this! Voted up and sharing. Hi again Karen. This owl is just beautiful and has such a unique look. They are tough to spot so when you do see one consider it a blessing. Thank you for taking the time to read so many Hubs today. I will definitely get over to your library here soon to start exploring. Have a great Memorial Day. Thanks Paradise. Glad I could help. Dear B: thank you so much for getting back to me with that info. I really appreciate it. Hi Paradise7. Thanks for stopping by to read. Even though the barn owl is very common they face many challenges in their survival. Severe winters really cause them problems in finding food and a lack of nesting and roosting ares due to urban sprawl is not helping. Also, surprisingly many barn owls die due to being hit by cars as their main food source, small rodents, like the grassy areas alongside roads and highways. 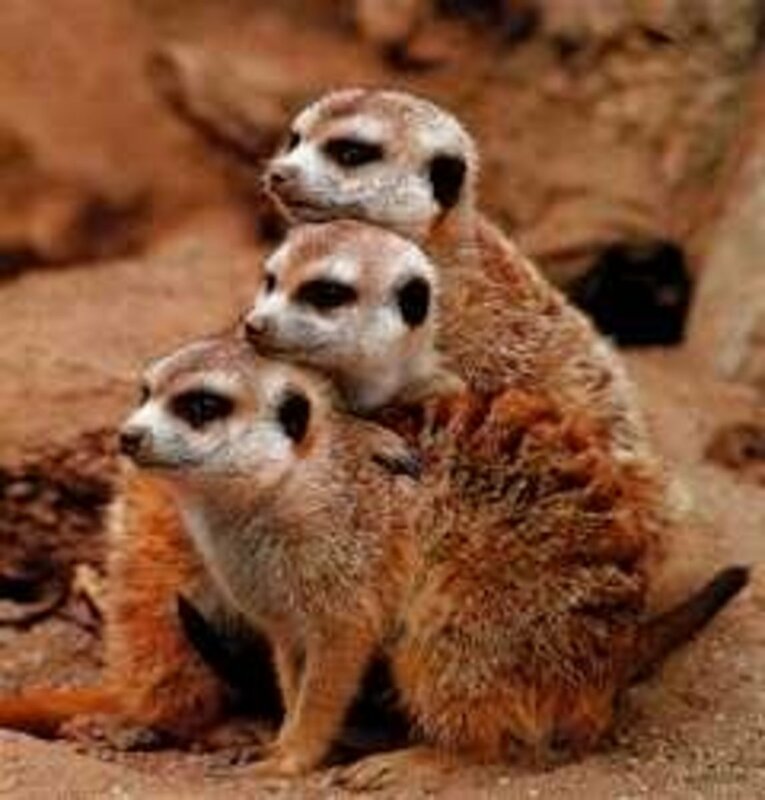 As with most creatures the more man builds the less area there is for our animal friends. What helps keep their numbers up is the fact that they usually lay between 4 to 7 eggs which is more than many other birds of prey. Thanks again for the visit. have a great day. Terrific hub and very interesting. I wonder why the lifespan is so short in the wild? They don't have natural predators that I can think of, other than cats, and I would think wings would give them the advantage there. We had barn owls in our barn. They do make the most peculiar sounds. 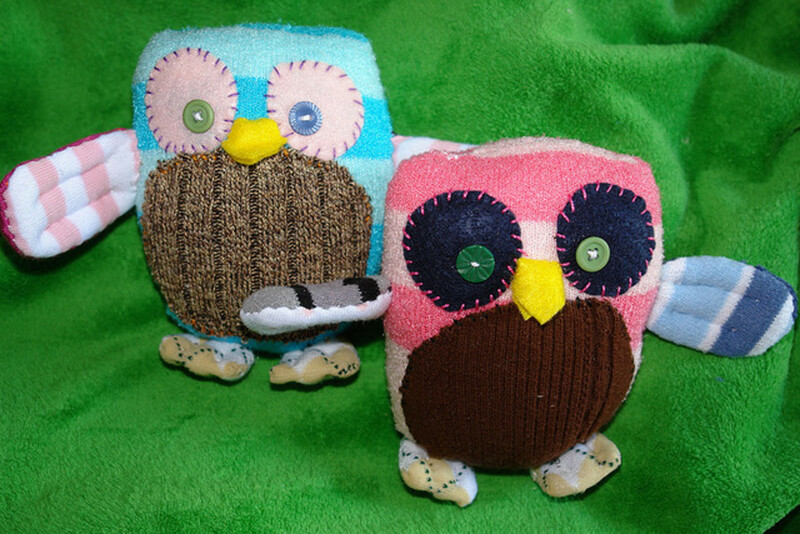 Mom called them "screech owls", but I'm sure from the pictures they were actually barn owls. Hi Glimmer Twin. Thanks for for stopping by. They are a beautiful member of the owl family. That's great that you had the opportunity to spot one. Have a great day. I have been lucky enough to see a barn owl once. It was beautiful and when it took off it was magnificent to watch. Absolutely beautiful photos and interesting hub. Hi Peggy. They can be tough to spot as they are nocturnal for the most part. I wouldn't mind having a few in my area to keep the mice population under control. Thank you as always for the support, vote, share, etc. Have a great weekend. I have never personally seen a barn owl in the wild. I enjoyed this hub and learned much from reading about their habits such as swallowing their prey whole. It would seem that farmers would love having these particular birds of prey around their farms for natural rodent control. Good job! Up and interesting votes and will share. Hi Mary. Good catch, the Barn Owl is one of the few species where the female is more colorful than the male :) I agree with you and do think that they are a very pretty bird. Some people may think their face is odd looking but I find the heart shaped face with those dark eyes to be beautiful. Thank you for the great support, it is very much appreciated. Hey Angelo. Thanks for stopping by and glad you enjoyed the hub. They are another amazing creature and quite unique looking. Very much appreciate the vote, share, fb, etc. Have a great day. Hi srsddn. 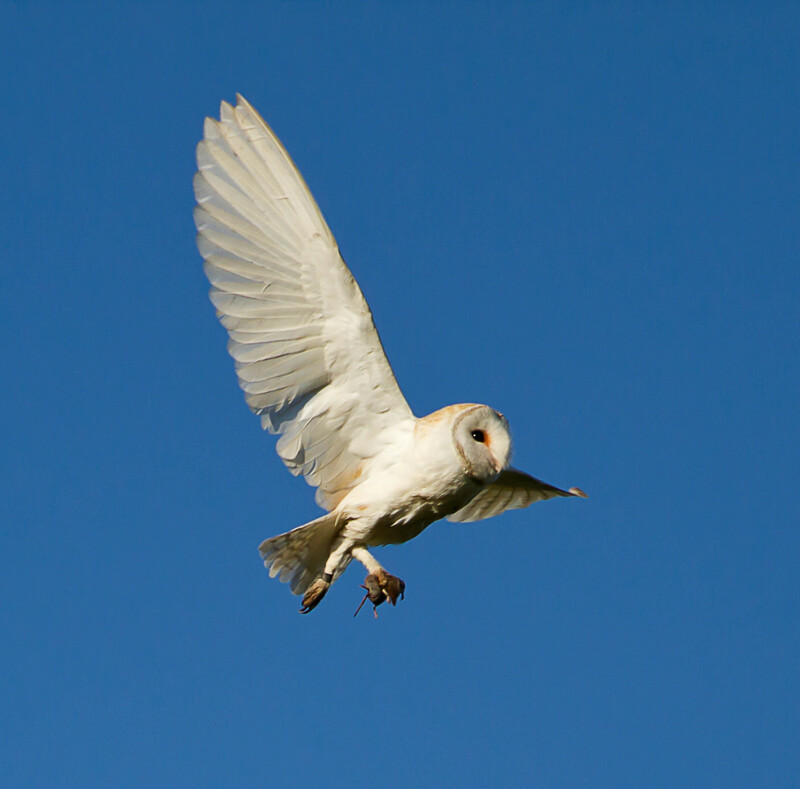 It will depned on where you live and if there is suitable habitat in your area to support the barn owl. They are very unique looking, which is one of the reasons I wanted to write a hub on them. Thnaks for the vote and share, have a great day. Hi rebecca. They are not the easiest birds to spot as they are nocturnal but if you live in the country I'm willing to bet that they are there. Keep looking and thanks for the comments. Have a great day. Isn't it amazing how different each species of owl can be? The barn owl is actually a very pretty bird. I only saw one once and was amazed at its coloring. Its about time someone found a bird whose female is more colorful than the male! This is a great series and I enjoy every word you write. So much detailed information. Thanks for writing Bill. Great article on Barn Owls. Enjoyed the presentation very much. Voted up, shared, facebook share, etc. Frankly speaking I am yet to see one but it seems quite lovable. I think the colour is a distinction from others and so is the shape of the head and eyes. Thanks for sharing. Thumbed up and shared. Cute little guy, and I have never heard of him before. 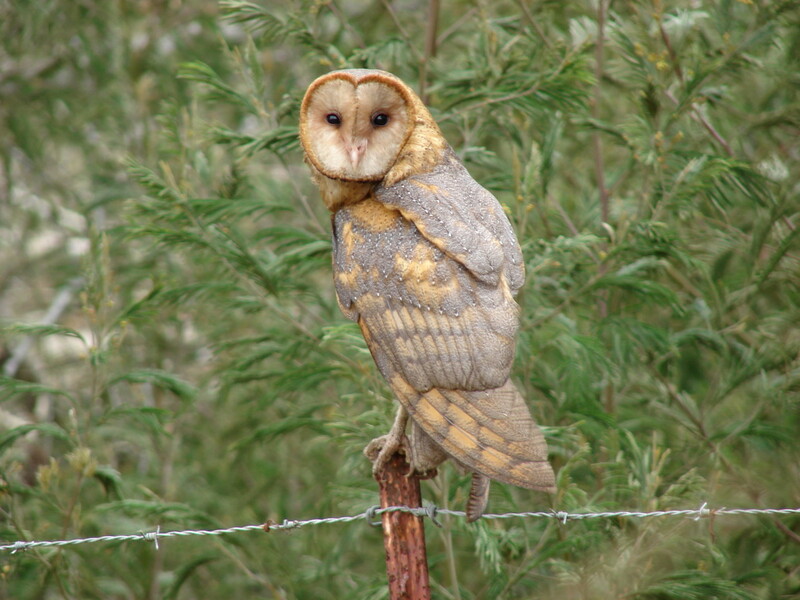 I live in the country, so I will be on the look out for this cute fellow, the barn owl. Hi rajan. Thanks. I really enjoyed reseraching the barn owl and I'm glad you enoyed the hub. I appreciate the support, vote, share, etc. Have a great day. Awesome hub, bill. So detailed and that barn owl in the top picture is just too beautiful. I didn't know the barn owls swallowed their prey whole. Up all the way and shared, my friend. I enjoyed reading this information about the barn owl, as I enjoy reading all your bird of prey hubs, Bill! 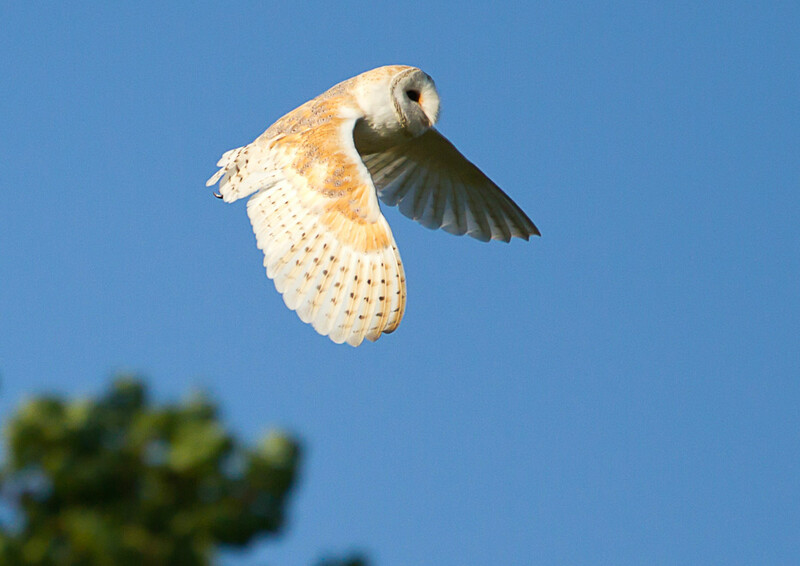 The barn owls photos are so clear and beautiful and the facts are very interesting. Wonderful hub! I mean, hoo-hoo-hoo doesn't love an owl?! Voted up. Hi Suhail. How cool. What a great experience. Yes from my memory of it, after checking out on the internet, it could be Great Horned Owl indeed. I was walking K2 in the conservation park when I heard this distressing and eerie kipkipkip kipkipkip kind of calls, very unlike hooting. The owl then flew from one tree in the forest into a tree in the open and we saw a flock of blue jays and crows harassing it. Hi Suhail. So glad that you found my hub thanks to DrMark. The Barn Owl is considered a medium sized owl, perhaps you saw a Great Horned, which is much larger. There should be Snowy White Owls in your area also, which are beautiful. Sounds like you live in a great area for wildlife? Thanks for the vote and glad you like the series. Hi DrMark. If the area lacks suitable nesting opportunities they will head to other areas. I'm sure they are in Brazil, perhaps just not in your local area. We have them here in western Massachusetts yet they are hard to spot, mostly as they are nocturnal. Many thanks for stopping by, the vote, share, etc. Have a great weekend. Hi Bill. They are very stealthy and silent hunters for sure. And they are great for helping to keep the rodent population down. Glad you enjoyed this one. Have a great weekend. Hi Joe. You got me curious so I looked up the White Owl Cigar Compnay and it looks to be a Snowy White Owl. The Snowy Whiten Owl is much larger than the Barn Owl and is almost entirely white. My guess is that with all that farmland in your area that there are owls present. They can be tough to spot as the are nocturnal but they do come out during the day occasionally, especially around dawn and dusk. Thanks again for stopping by and have a great weekend. Hi Carol. Thanks so much, I really enjoy writing about these amazing birds and learning about their habits and traits. The Barn Owl has such a unique look with that heart shaped face that I just couldn't resist writing about them. Thank you for the vote and share. Have a great weekend. I read your hub thanks to Dr. Mark sharing it. I have many conservation parks and ravines with trails near my home, but I have never seen them there. I do see Goshawks preying on voles and chipmunks. I also saw a much bigger species of owl that I know was not a barn owl. That was being harassed by some blue jays and crows. Now I know where to look for barn owls lol. Btw, I like your specialization in birds of prey and writing awesome hubs on them. The map shows them in the area I live in, and although I have seen a lot of owls I have never seen this one down here. Maybe because of lack of nesting areas? (We do not have barns, silos, and the forests are usually second growth cocoa, other fruit trees, and coconut). Very interesting article. Voted up and shared. They are majestic birds for sure. We have several in the area here. At night, if you are paying attention, you can see them, and during walks we will spy one from time to time. They are almost the perfect silent hunting machine. Great pictures and information, Bill. Ah, so I'm wondering if this is the famous owl of White Owl Cigars fame! Good morning, Bill! 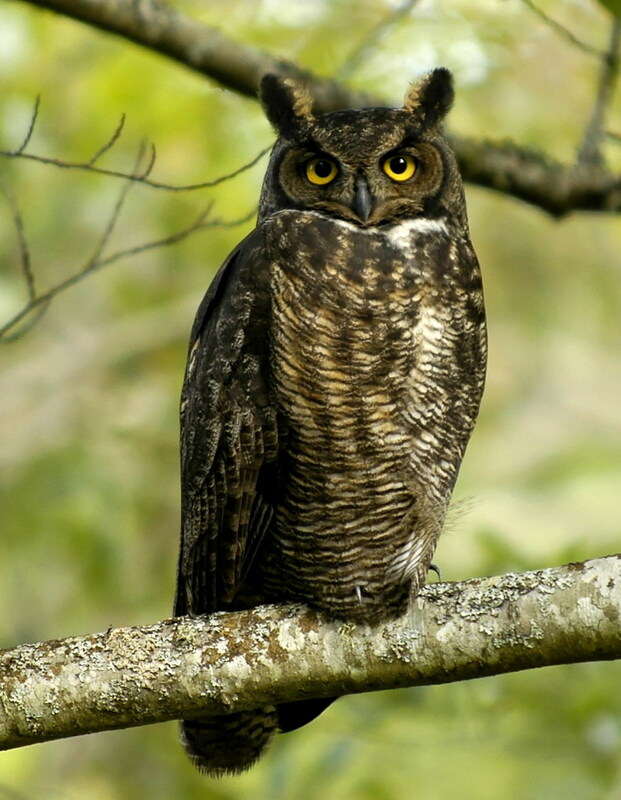 I remember seeing a few owls flying around during my years of growing up on Kaua'i, but I never did see one close up. Now that I'm doing a lot of walking through the countryside of SE Washington and NE Oregon, I pass a lot of farmland. And where there's farmland, there are dozens of barns that I see each week. Who knows? However, my chances are slim since these are nocturnal creatures. I love the interplay between owl and man. The wise farmer tolerates the presence of the birds' nest in his barn, and the owls know that they will have an abundance of food, especially since the adult devours a rodent or two each 24-hour period. Thanks for sharing this educational article, Bill! I always learn a good deal from your wonderful hubs! Aloha, and have a great weekend, my friend! I love your birds of prey series. I absolutely love owls..and now I can recognize this one should I ever see one. Having a couple of niches on hubpages seems to be a good thing. As always great photos and and great words. Voting up and sharing.